Been ripping a significant number of longer boards lately for the planing slab project, which motivated me to finally make a smaller, companion saw bench to nest inside my main saw bench (both are based on the Christopher Schwarz 2009 version). I’m psyched to use something other than a dovetail saw for joinery, for once. Lap joints are the best. All stock preparation and joinery only took a few hours and I am very happy with the result. I just need to let the glue dry before I fit the stretchers and level the seams and feet. Should definitely make ripping easier, as I can now support both ends of a long board won’t need to stop halfway through and flip it around anymore. 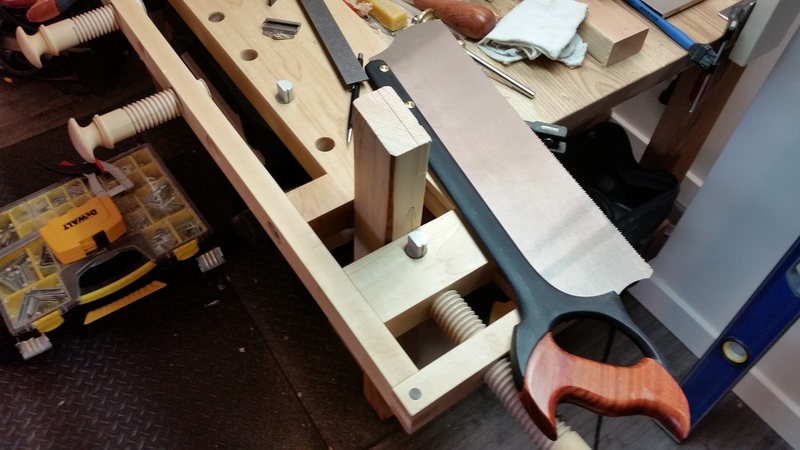 Also, I started using the wagon vise on my bench like a front vise for thicker stock that wont fit in the actual front vise. Works well enough; still need to make an actual moxon vise at some point, though. I guess I’ll add it to the to-do list. 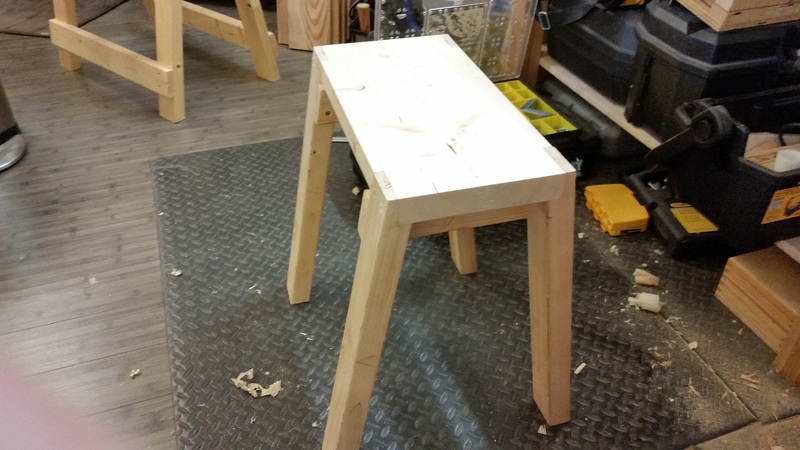 Small-space woodworking is all about improvising! Hope everyone has their holiday shopping wrapped up. I’m one home center gift certificate away.